We knew Microsoft was almost ready to lift the lid on the next version of its Office suite of software, but we hadn't expected the surprises that appear in the offing. 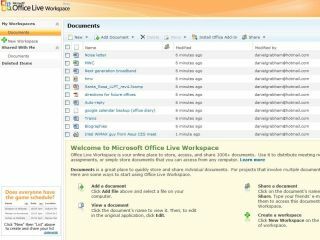 , as had been expected, but will instead go by the name Office 2010. Moreover, it will also be delivered as a web-based set of tools like Google Documents that will be free to use and supported by advertising on the same pages. It is expected that traditional, boxed versions of the software will also go on sale, but that those will come with monthly fees or charges based on how much they're actually used. So far, none of this is official, but we'll bring you the lowdown just as soon as Redmond lets the cat out of the bag.